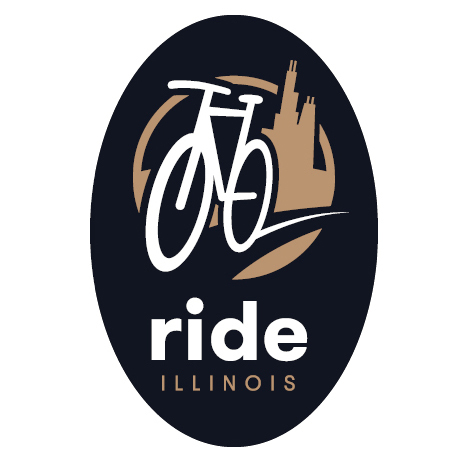 Becoming a member of Ride Illinois is one of the easiest actions you can take to help make Illinois a more bicycle-friendly state. Through advocacy at the local, state, and national levels, bicyclist and motorist safety education, outreach across the state, and online resources for every type of bicyclist, Ride Illinois is dedicated to making cycling fun, safe, and accessible for everyone. There is great strength in numbers and we need your support! A strong advocacy voice in Springfield, Washington, and your town! You’ll also receive a choice of premiums available at your selected membership level or below. 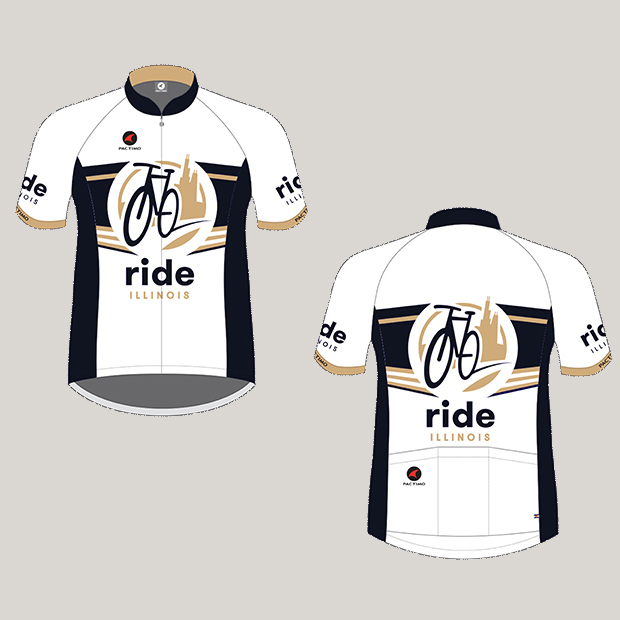 Ride Illinois bike jerseys, t-shirts, and more are displayed below. Join or renew at the Individual level and choose one of our car bumper magnets. 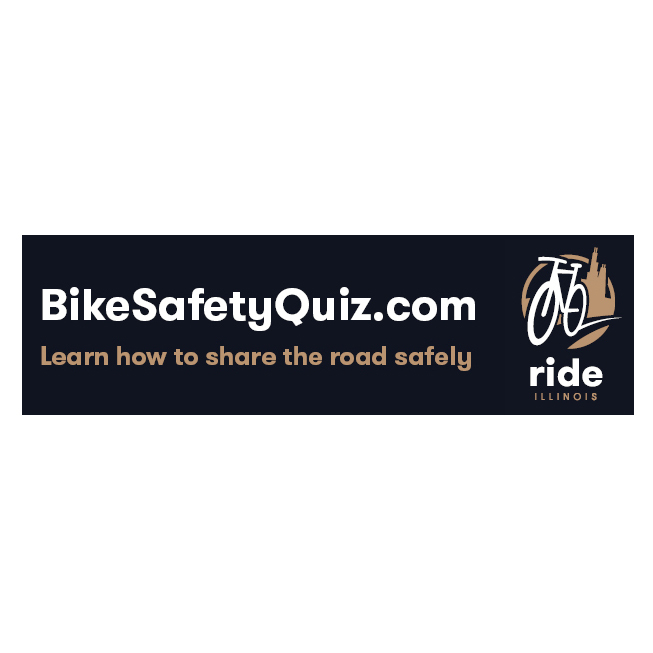 Our BikeSafetyQuiz.com bumper magnet allows you to make a statement while you drive. Help create awareness for our quiz, designed to educate both motorists and bicyclists about sharing the road safely! 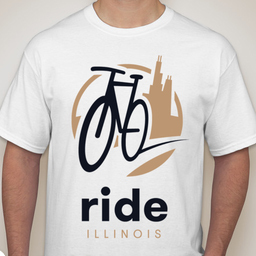 Show your support with a Ride Illinois t-shirt. These 100% pre-shrunk cotton t-shirts come in a dark navy or white and are available in child and adult sizes. 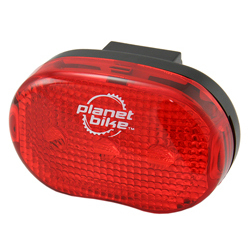 The Planet Bike Blinky 3 Taillight offers visibility up to 2000 ft. and a flashing or steady mode for up to 200 hours of run time. Seat post, seat stay mounts, and batteries are included. 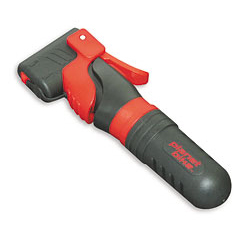 The Airship CO2 inflator from Planet Bike features a lightweight composite design. It fits Presta and Shrader valves without adapters. 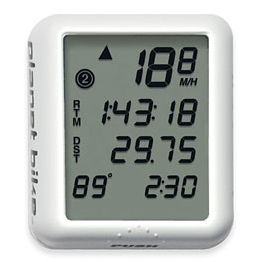 It accepts 12g non-threaded, and 16g non and threaded CO2 cartridges. A 12g non-threaded CO2 cartridge is included. 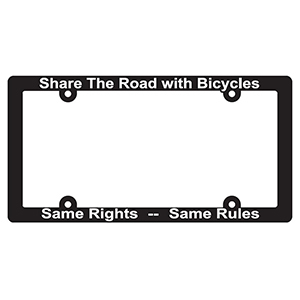 “Share the Road” License Plate Frames come in a pair, for the front and back of one car, or the backs of two cars. The narrow design won’t cover your plate’s design, especially the Share the Road license plate. Hard plastic construction with raised, silkscreened letters. 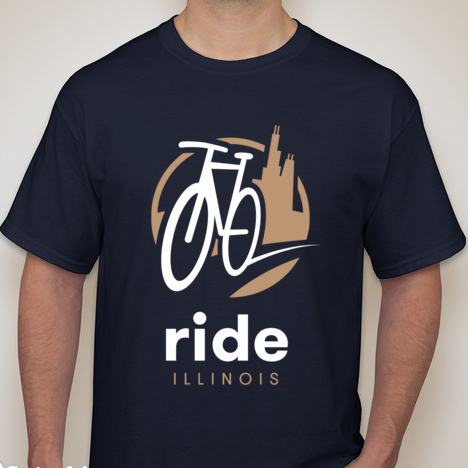 Our Ride Illinois jersey features our dark navy and gold colors, C-DryT technical wicking fabric, raglan sleeves, elastic waist, three large back pockets, 45 cm long hidden zipper and wide side panels. 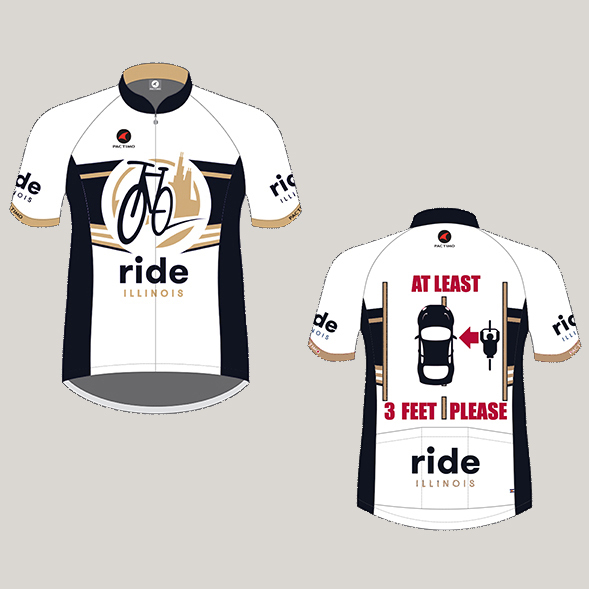 The 3 Feet Please jersey features a safe passing message on the back. Both jerseys are a unisex club fit, designed to be less confining both on and off the bike, while still providing the technical qualities you expect from a high performance jersey. Select any two premiums from above. Limit of one bike jersey.